The manager's role is more challenging and stimulating than ever. Intense competition, increasing customer expectations, strategic alliances, mergers and de-mergers, all make managers' tasks more complex and demanding. Yet with the ability to deal confidently with challenges like these, you can look forward to a rewarding and fulfilling future in virtually any organisation, with the opportunity to work anywhere in the world, and in any sector. The MSc in Management at Bristol Business School will give you the skills and insight needed for a successful career, as well as the qualifications and confidence needed to lift you above other candidates in the job market. Our flexible course will help you improve your performance in your current role and enhance your future prospects. To succeed in today's management environment, you'll need to understand and react to the implications of financial, operational, strategic and organisational changes, as well as understand how to manage and motivate people. This course will help you link theory and practice relevant to today's organisations, giving you the personal tools to create, implement and progress the most effective management policies. Both the Postgraduate Diploma in Management and the MSc Management are made up of four core modules and four elective modules. 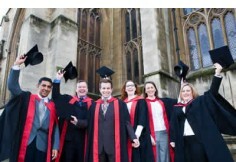 To gain the MSc Management you will also complete a dissertation. You'll normally also be able to choose four electives covering contemporary management issues and explore in greater depth areas of management that interest you. 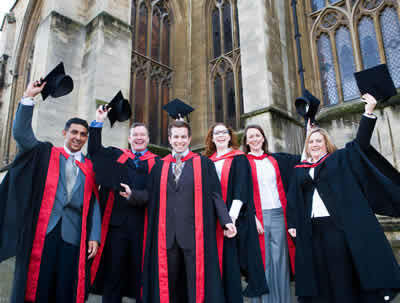 In the final Master's phase, you'll undertake your dissertation, which will be a research project topic of your choice. You'll learn through a variety of stimulating methods which may include case studies, syndicate-based and group exercises, and presentations, as well as lectures and independent study. We understand that postgraduate education is a major commitment, and it needs to fit in with your work, your family and the rest of your life. So as well as the full-time route we offer a choice of two part-time routes to our MSc Management - standard and fast-track - plus a choice of evening sessions (once a week) or daytime block study sessions (over three consecutive days for each module), or a combination of both. Taking the standard route, you should be able to complete the Diploma in 22 months and the full Master's programme in 33 months. Throughout the first and second year, you'll study two modules in each of the autumn and spring terms, and start your final dissertation in the autumn term. The fast-track route is designed to let you complete the Diploma in only 16 months and the full Master's in just 24. Throughout the first year, you'll study two modules in each of the autumn and spring terms and an additional two in the summer term (by block sessions only). In the second year, you'll study two modules in the autumn term and start your dissertation in the spring term. Please note, the availability of the fast-track route is subject to demand. The programme primarily uses continuous assessment, chiefly through marked assignments which are either organisation or role focused and of great practical benefit to you as an individual and to your organisation.